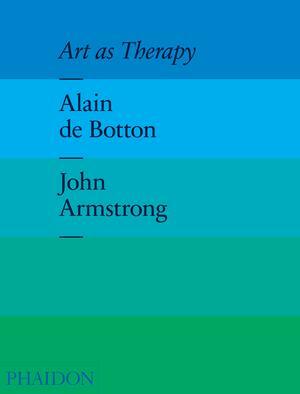 “Art holds out the promise of inner wholeness,” British philosopher Alain de Botton wrote in Art as Therapy, one of the best art books of 2013. The more you use, the more you have’. Alain de Botton in his fantastic Sunday sermon from The School of Life, lecture series de Botton founded in 2008, expounds the idea that secular thought can learn a lot from the formats of religion, and went on to reimagine the self-help genre. De Botton argues that in the 19th century, culture replaced scripture as our culture’s object of worship, but we are no longer allowed to bring our fears and anxieties to this modern cathedral. “It is simply not acceptable to bring the aches and pains of our souls to the guardians of culture,” he laments. He goes on to explore how we can reclaim this core soul-soothing function of art from the grip of empty elitism and sterile snobbery, focusing on the seven psychological functions of art. Enjoy this video where Alain Botton talks about Art As Therapy. When you’ve finished watching the video, scroll down to fill in your details and access your FREE DOWNLOAD to Awaken Your Creative Vision. We are very vulnerable, fragile creatures in desperate need of support and we generally don’t get it. … Art [can be] a source of help with our problems — our innermost problems — the problems of the soul. . . . Art can be a form of self-help and there is nothing demeaning about the concept of self-help — only the way in which some of self-help has been done so far, but there is nothing wrong with it as a concept . . .
[…]I believe that art should be propaganda of something [other than the Christian church] — not theology, but psychology. I believe that art should serve the needs of our psyche as efficiently and as clearly as it served the needs of theology for hundreds of years. Art as Therapy is an excellent read in its entirety. Take a closer look at de Botton’s argument and his seven psychological functions of art click here by Maria Popova.